Just about to start cooking and find you have run out of marjoram? 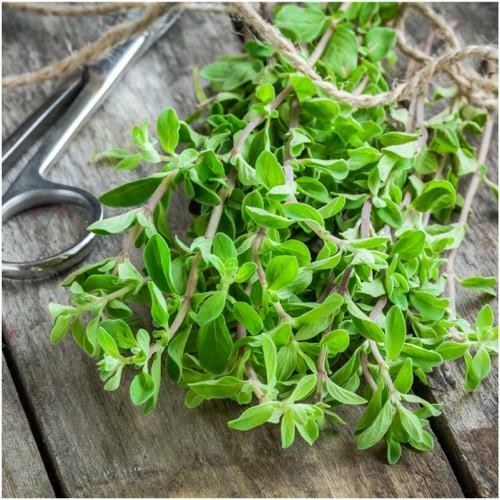 There are a few common options that you can use as a marjoram substitute. It’s really annoying when you find out that you’re out of a spice you need for dinner. When you’ve already started cooking before noticing that you’re out of an essential ingredient, that can be even more frustrating. Many people struggle trying to figure out what to do when they run out of marjoram. Marjoram is used in a lot of different meat dishes and can be a delicious spicing option. If you need some for your dinner but are completely out of it, you need to find a good marjoram substitute option. Don’t worry because there are some spices out there that can replicate the taste fairly well. Even if they don’t completely match the flavor of marjoram, they can do a good job and your dinner will turn out deliciously. It’s important to have options for replacing the marjoram that you actually will have sitting around in your kitchen. You need to have access to the spice for it to be a good option in your situation. There are a few common household spices that will do a good job in covering what you need for your recipe. You may want to experiment some to come up with the best combination that works for you. An easy recommendation is to try sage, basil, thyme, or summer savory. All of these can be used in recipes that call for marjoram. They won’t taste exactly the same but they will provide a good flavor and ensure that your dinner turns out well. Out of these four common options, basil has proven to be particularly popular. You can use the same amount of basil or any of the other common spice options that you would marjoram. It can act as a direct swap for marjoram in the recipe and you’ll be able to finish dinner without a hassle. Just know that there will be subtle differences in the taste of your dish compared to traditional marjoram spicing. Oregano may be your very best bet when looking to get a taste that is very close to marjoram. Just as with some of the other spices mentioned, this is actually something that you’re likely to have in your kitchen. If you have some oregano around, then it is highly recommended that you try using it as your substitute option. The overall flavor is very close to what you’re looking for and you’ll be able to have your dinner taste pretty much exactly as it was originally intended. It’s important to understand that oregano is a little bit stronger than marjoram though. You need to use a bit less of it in the recipe to make sure that it isn’t overpowering. Use about one-third less of the oregano than you would marjoram. If you stick to this advice, then everything will turn out very well. It can be a little nerve-wracking having to substitute a spice in your dinner. Don’t let yourself stress out because all of these options will work very well for your purposes. You can finish your dinner and have it turn out very tasty as long as you pay careful attention to what you’re doing. Pay close attention to the amounts of the spice you’re using. Don’t be afraid to taste test your dish just a bit to ensure that it is turning out how you want it to. It should be very delectable and you’ll be proud that you were able to make a crucial adjustment to make sure that dinner turned out well. « Nutmeg Substitute – What to Use?